Ready for some fun? My good buddy Boobulon has made me some nifty book-related artwork again to celebrate The Fall of the Midnight Scorpions. Now that the book is finally out, I'm ready to present them in profiles of the six main characters. I'll include some backstory that didn't make it into the final book, share some trivia, and otherwise introduce you to this kickass team that's taking on a mercenary cyborg army! Additional information: Every now and then she volunteers as a medic with the Palavian military close to the combat zone at the juncture of the three warring countries. It was probably during one of these trips that she learned how to shoot a gun (and pretty damn well! ), but the rest of the team never finds out for sure. Trivia: When I was first plotting out the book, originally Dr. Cassels was going to be male, but Boobulon persuaded me to make Vlad's parent a mother, not a father. Dr. Cassels's role probably wouldn't have changed too much either way, but making her a woman skewed the male-female ratio of the team to 2-4 (rather than the initially planned 3-3). Obviously I don't have a problem with this, and I think I might even like it better this way. Also, when I started writing, I had recently finished playing Mass Effect 3, and I won't even try to deny that the game influenced me. 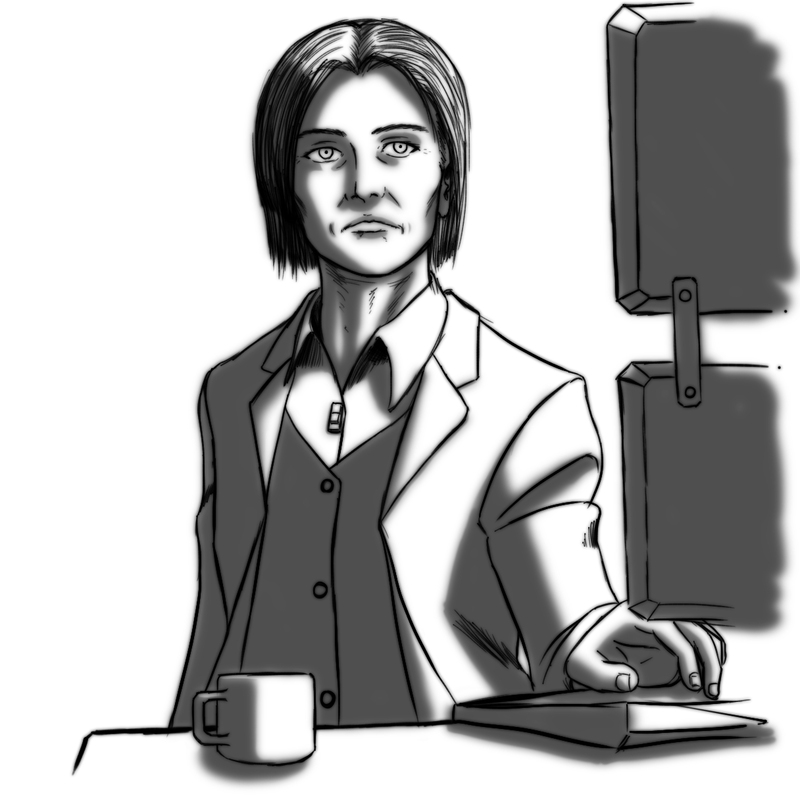 Once I decided that Dr. Cassels would be a woman, I couldn't help but envision Dr. Chakwas every time I wrote for her. I figured I might as well go all the way and borrow her first name!